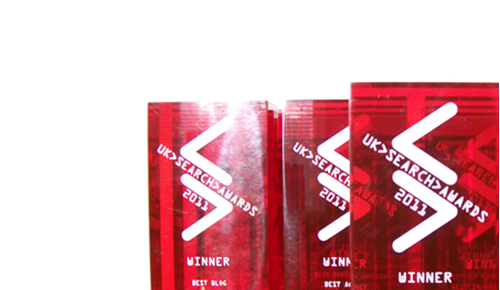 After a manic week it’s been great to take a little time to sit back and reflect on the UK Search Awards conference which I was lucky enough to be speaking at last Friday 9th March, where award winners showcased the innovations which bagged them their lovely shiny trophies. 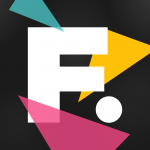 My task was to represent the Found team’s brilliant work in the mobile space for Autoglass, which began in the summer of 2010 when mobile was still a mere twinkle in many search marketers’ eyes. With Autoglass having no mobile optimised presence at the time, Found quickly developed a range of targeted mobile landing pages and implemented detailed mobile click-to-call activity featuring customised phone numbers carried from ad to landing page dependent on referring keyword type, as well as comprehensive geo-targeting to drive calls from customers in need to their local repair centres to enable quick conversion. As a forward-thinking campaign implemented when mobile search was in its infancy, it highlighted Found’s determination to continually remain ahead of the curve when it comes to linking the intelligent use of new technology and consumer need. Keynote speaker and founder of stateofsearch.com, the mighty Bas van den Beld, was a real highlight of the day as he strode the stage with purpose and provided an insightful and humorous take on both the history and future of search. Despite all the noise of new tech and blingy new fads it was interesting to see him highlight that the fundamentals of relevance and genuinely engaging rather than simply ‘shouting at’ the customer will always ring true for any successful search marketer. His example of the Mayor of Obermutten in Switzerland who utilised personal announcements of all their Facebook fans on YouTube to generate more likes than London or Paris truly brought the concept of the power of personalisation to life and fed nicely into an exploration of Google’s brave new personal world of search. The range of case studies on the day from all winners was impressive and there were some great ideas to incorporate into our own activity – with a particular thanks to Tom Smith of Fast Web Mediawhose definition of ‘vanity’ keywords vs ‘sanity’ keywords (those which actually convert) will certainly be entering the Found vocab in future! Other highlights included some interesting insights from Matt Bush of Google into the current state of play in search, with a standout statistic being the fact that if page load speed is even one second longer than expected by the potential customer, conversion drops by 7%; a very convincing argument for any ecommerce site to get its servers in order if ever I heard one. SEOOptimise’s tips for best blog showed a real commitment to generating engaging content, including using the UK time difference to get a head start on US blogs for big tech announcements, gamification of blogging (such as incentivising staff for the most popular post of the month) and ensuring effective cross linking between posts to increase time on site. The aforementioned Tom Smith introduced the clever concept of ‘weather parting’ in PPC, incorporating a live feed from the Met office into ad planning and bidding strategies, which was harnessed very effectively for client Bravissimo to maximise sales of relevant products e.g. sunny conditions = bikinis flying off the shelves! Oliver Ewbank from Koozai showcased an admirably ‘white hat’ approach to moving a client to position 4 on the keyword ‘payday loans’ while up against a veritable sea of black hatters, undercover SEO ninjas and extremely dubious tactics in a notoriously hard fought industry. By concentrating on the fundamentals including good technical and content optimisation along with ethical link building, the client has stayed in a stable position while many flash in the pan competitors have come and gone. Polly Pospelova from Fuse8 profiled an intelligent approach to PPC landing page optimisation involving landing pages customised according to geo location data to improve quality score and adrank, highlighting that improving relevance and enabling simpler conversion will always be a winning approach. The final case study presented by the bubbly Lisa Myers of Verve Search showcased a refreshingly ‘girly’ approach to selling the fairly dry product of doors – by approaching the target keyword set according to style and colour rather than material or product classification, this more granular and targeted approach enabled quicker ranking and better conversion for the client. The day wrapped up with the awards judges giving their insight into what makes a successful entry, with the key elements including demonstrable ROI and delivery on the clients’ KPIs. Value for the client was an important theme, with the judges highlighting that while some entries had involved much bigger budgets than others, the overall results leveraged from the available budget were more important than volume alone. Another important announcement during the day was the extension of the awards beyond the UK, with the European Search Awards taking place on 5th July in Amsterdam along with the UK Search Awards 2012 taking place on 8th November. A big thank you to Andrew Wake of Don’t Panic Projects for organising a fantastic event – time to start thinking about our next innovative submission and hopefully Found will be speaking at the winners’ conference again next year!